A website is responsive when it automatically adjusts to display on mobile devices. Tables are usually not responsive, which forces mobile users to swipe right and left to view a table that runs off screen. School Loop's tables are now responsive. Tables created in SLS2 are designed to be responsive. Tables converted from SLS1 will be responsive as long as you apply the correct SLS2 format. Tables with row and/or column headers respond differently than layout tables, so it's critical that you use the correct format for each table. If you've converted pages from our old system over to the new system, you must format all of the tables as per the instructions below to make them responsive. For more information about table formats, please refer to this Easy Start Guide on accessible and responsive tables. 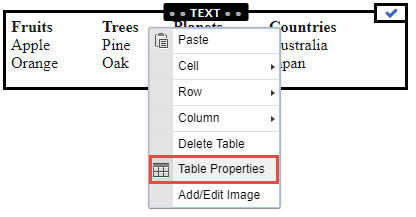 Select the Text Module with the table that needs to be formatted and right click on the table. Choose Table Properties from the menu that appears. From the pop-up menu of table formats that appears, select the proper option for your table. The solid black cells indicate header rows and columns. 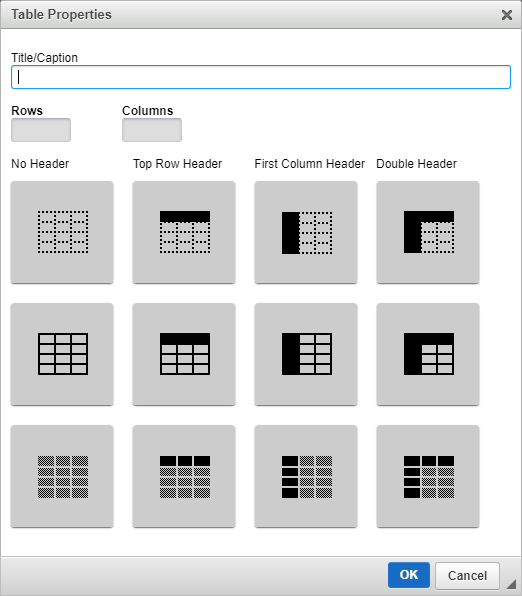 Use the "No Header" options for layout tables. With the new formatting applied, your tables will not only be responsive, but they'll look better too. Improperly formatted tables may not make sense in the responsive state, which is why it's important properly construct tables and apply the correct format. Access the school site from a mobile device and check if the tables fit in a single screen without having to swipe left or right.